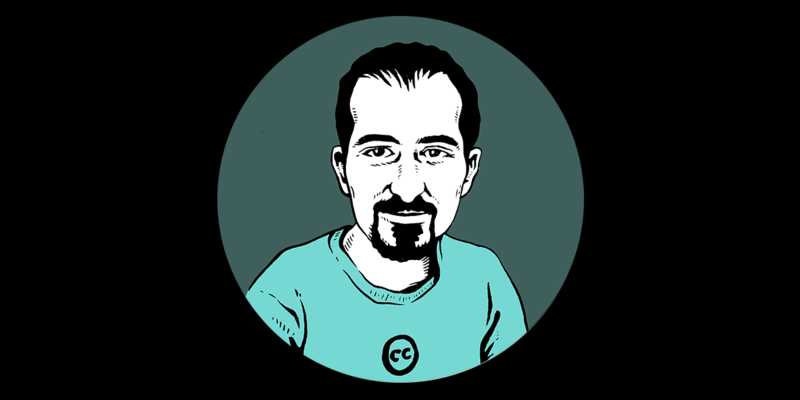 Bassel Khartabil, the Syrian open source developer, blogger, entrepreneur, hackerspace founder, and free culture advocate, has been executed by the Syrian authorities. Noura Ghazi Safadi, his wife, received confirmation of her husband's death by the Assad-led Syrian government yesterday. The execution took place in secret in November 2015. It has taken the Syrian government nearly two years to officially communicate that fact to his friends and family. Bassel had been imprisoned by the Syrian authorities since his abduction from the streets of Damascus on March 15, 2012. He was originally taken, interrogated and tortured in secret in a facility controlled by the country's General Intelligence Directorate. After a worldwide campaign by international human rights groups, together with Bassel's many colleagues in the open Internet and free culture communities, he was moved to Adra's civilian prison, from where he was able to communicate with his family and friends. Multiple governments condemned Syria's holding of Bassel, and the United Nations Working Group on Arbitrary Detention declared Bassel's imprisonment unlawful in April 2015, but the Assad government refused to release him or provide any information on his case to the outside world. In October 2015, Bassel was moved from Adra to an unknown location. Bassel's fellow prisoners told Noura that he was taken by military police, "with a 'top secret' sealed order from the (Military) Field court". It seems likely that the order was for Bassel's execution, and that this took place shortly after he was taken from Adra. Bassel was a central figure in the global free culture movement, connecting it and promoting it to Syria's emerging tech community as it existed before the country was ransacked by civil war. He co-founded Aiki Lab, Syria's first hackerspace, in Damascus in 2010. He was a contributor to Mozilla's Firefox browser and the Syrian lead for Creative Commons. His influence went beyond Syria, however: he was a key attendee at the Middle East's bloggers' conferences, and played a vital role in the negotiations in Doha in 2010 that led to a common language for discussing fair use and copyright across the Arab-speaking world. In the early days of the protests in Syria, Bassel worked with EFF to understand how the government there was seeking to censor the Net. He spoke clearly and factually about what he saw. At a time when simply relaying the truth from Syria was a potentially dangerous act, he did not keep silent. He took the world as his default audience. It seems like his prominence as an independent Syrian voice, a prominence that derived from his connections to the global Internet community, is what led to his detention. The Syrian government tried to pigeonhole Bassel as an opposition agent, to slot him into a black and white world where there can be only loyalists or rebels. If Bassel was a loyalist, he was loyal to the ideal that objective knowledge can and should be collected, analyzed, shared and discovered by everyone, and that new technology provided an incredible opportunity to pursue that goal for the benefit of all. If he was a rebel, he rebelled against the idea that the truth should ever be silenced, or that terror could ever impose limitations on a complex and beautiful world. "Of my experience spending three years in jail so far for writing open source code (mainly), I can tell you how much authoritarian regimes feel the dangers of technology on their continuity. And they should be afraid of that, as code is much more than tools. It's an education that opens youthful minds, and moves nations forward. Who can stop that? No-one... I'm in jail, but still have thousands if not millions of my hands and minds outside writing code and hacking and they will always keep doing that, no matter what stupid actions these regimes take to stop the motion. As long as you people out there are doing what you are doing, my soul is free. Jail is only a temporary physical limitation." As he predicted, Bassel's imprisonment did not stop the cultural work he pioneered. Instead, his example motivated the growth of a global community of coders and activists. Bassel's supporters preserved and expanded the projects he loved in his name. They contributed articles on Syria to Wikipedia on his behalf, translated open source projects like Mozilla's browser into more languages, broadened the Creative Commons through book-writing sprints, and scrambled to preserve, in data, the architectural jewels of Palmyra, documented by Bassel, that were destroyed in Syria's subsequent civil war. Noura, his wife, and his friends Jon Phillips, Barry Threw and Dana Trometer, worked tirelessly to promote his cause, and inspiring many others with his story and their dedication to his freedom. Over the five years since his abduction, hundreds of free culture activists that never met Bassel, like artist and filmmaker Niki Korth, and anthropologist Barbara Ruehling, were drawn by his case to contribute to his community and his mission. We at EFF are heartbroken at the news of Bassel's unjust and unlawful killing. The single consolation is that Bassel, before and after his detention, inspired so many to join the cause he cared so much about. Until his very last days, his wife and friends ensured he knew that, sharing that precious knowledge with Bassel, just as he had shared his knowledge with the world. He always knew he was loved and not forgotten: and that, filled with that certainty, even in his last days, Bassel indeed knew that his soul was free.